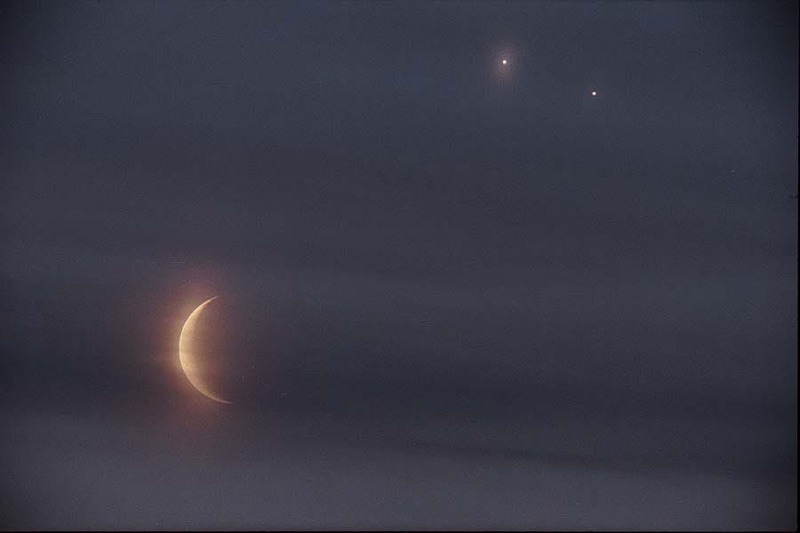 Explanation: The crescent Moon, Venus, and Jupiter all appeared together in the early morning hours of April 23rd. 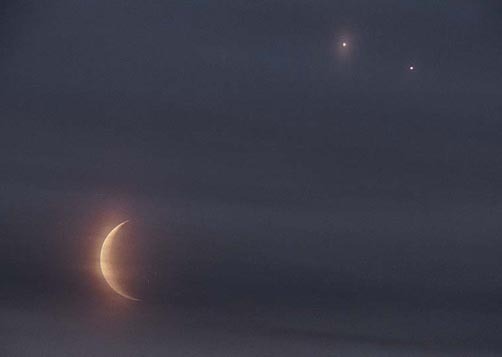 Some locations on Earth were able to witness a rare double conjunction eclipse, where the Moon occulted both Jupiter and Venus at the same time. The next double conjunction eclipse will involve Mercury and Mars and will occur on February 13, 2056.